Medical pain treatment with the Polar TENS device. Unique is the electrode placement chart who guides the user were to place the electrodes on the body. 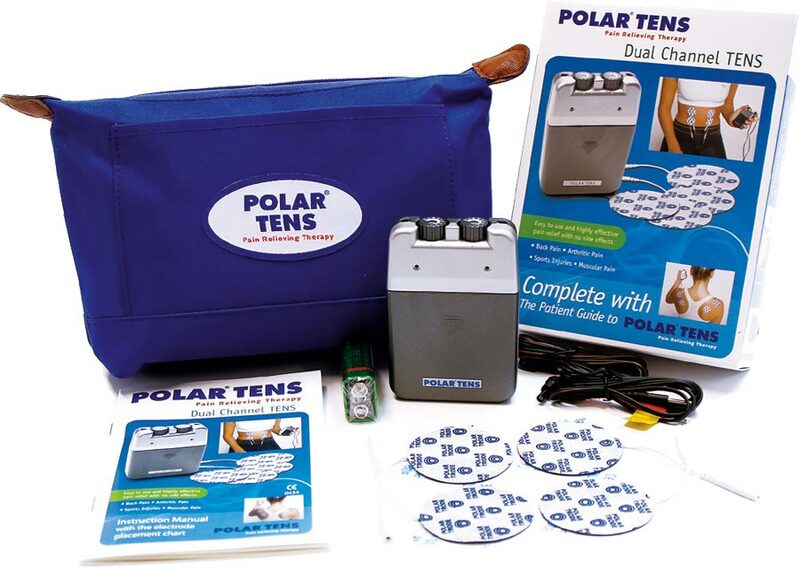 Polar Tens uses a mild, safe electrical signals to help control pain and delivers the electrical signal to the body through a connection of a lead wire and self adhesive conductive electrodes. 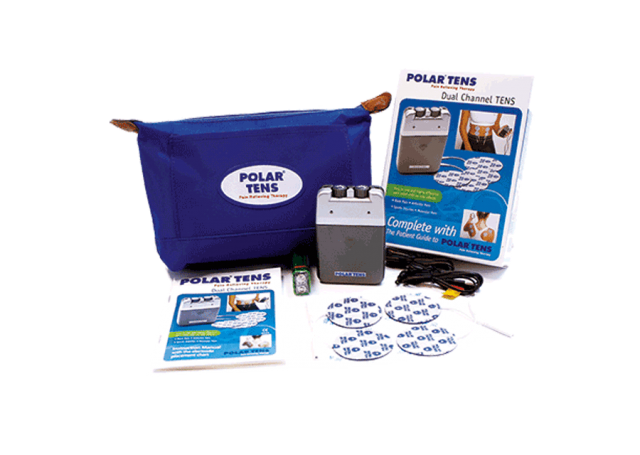 The Polar tens unit is a portable, pocked-sized, battery-powered device. The most common TENS programs use high-frequency stimulation, which is the first choice for both acute and chronic pains. High-frequency stimulation send impulses to the nervous system own pain-inhibiting mechanisms, which block the pain. You can use it as often and as long as you like, but each treatment should last at least 45 minutes. Another type of Tens is low-frequency stimulation. Low-frequency TENS treatment can alleviate pain by stimulating muscles to release the body ́s own morphine-like substance, endorphins. Place the electrode on a muscle in the painful area so that a visible contraction occurs. You can use low-frequency TENS for 20-45 minutes, three times a day. Low-frequency stimulation can lead to sore muscles. Polar self-adhesive carbon film neurostimulation electrodes feature soft rubber lead wire attachments that make it easy to attach them to the electrode lead wires. A long lasting gel provides strong adhesion to the skin. Polar Trodes come in convenient sizes.